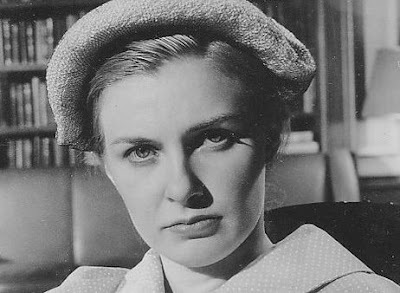 A downtrodden southern housewife (Joanne Woodward) begins to exhibit strange behavior at home before a second, reckless personality manifests itself followed by a third, more normalized one. With the help of a psychiatrist (Lee J. Cobb), she seeks treatment and gradually begins to eradicate the more flawed. The Three Faces of Eve, straightforward and plainly directed, seems like a phony, shallow representation of the rare psychological condition despite the ‘true story’ touting of the opening monologue and the screenplay participation of two of the real life shrinks involved in the case. That being said, Woodward is the whole show here, impressively versatile as the three distinct personalities. Cobb is strong but hardly credible as the sensitive psych doctor.